Database Systems Corp. (DSC) is a leading provider of computer telephony integration technology including interactive voice response (IVR) software, services and systems. 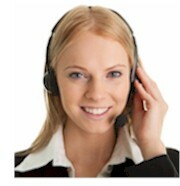 Interactive voice response is a technology that automates the personal interaction of telephone callers with the computerized phone system. Our IVR systems use voice recorded prompts and menus to present information to callers. Touch-tone telephone keypad entries are gathered from the caller to collect information and to provide navigation through simple to complex IVR menu structures. DSC provides a comprehensive IVR software library of routines that can be called using most modern computer languages. Custom IVR applications can be developed quickly and efficiently using this development tool. For a list of applications developed using this library, please visit our IVR applications web page. Our IVR software provides information back to the caller in the form recorded messages or data converted using text to speech. The IVR can also route the caller to an agent or transfer the call to an outside phone number or extension. Contact DSC to learn more about our IVR software and phone systems. Researchers at Johns Hopkins University utilize our call survey software and call center services to manage their automated phone surveys of medical research volunteers. Johns Hopkins is collecting behavioral information over an extended period of time for long term health care research. An important feature included with our IVR software and IVR services is our extensive IVR development reporting system. These reports provide the administrator with a complete view of the performance of IVR campaigns and include graphical presentation of data as well. This online reporting and feedback system helps you observe and control the performance of your IVR applications and inbound call answering services. IVR graphs and charts of operational statistics let you measure the effectiveness of each phone campaign as it is running. 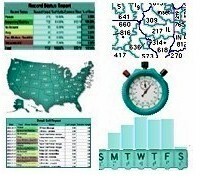 The statistical information contained in each of these reports can be downloaded into a spreadsheet format for individually customized reporting. Contact DSC for a FREE analysis and quote and to learn more about our IVR products and services.